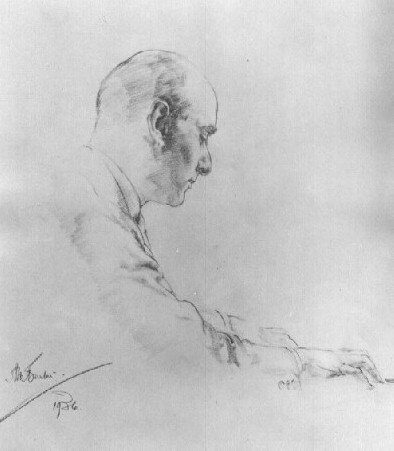 A sketch of Frank Mannheimer drawn in London in 1936. 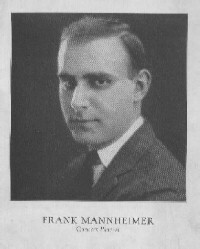 After World War I, Frank Mannheimer actively pursued a concert career, first in this country, and later in Europe. As a child, he was frequently asked to play for friends who came to the family home, and he joked that once when they complimented him, his sister retorted, "Of course he plays well. He can't do anything else!" 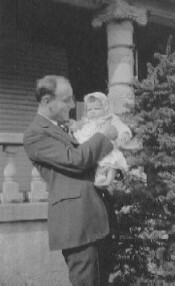 Shortly before his graduation from the Chicago Academy, he received first prize in the school's annual concerto competition, and after his service with the army he played in New York, where the Evening Telegram dubbed him, "A brilliant, gifted, and charming pianist," with "facile technic and interpretative skill of a very high order." The Chicago press was no less generous, praising him for his "astonishing technic, beautiful pianistic style and a concert appearance and poise which enable him to use all of his musical resources to the best possible advantage." But whatever success he enjoyed, his mind was too keenly analytical to accept his gifts without questioning, and he longed to examine the laws that underlay tone production and artistry. 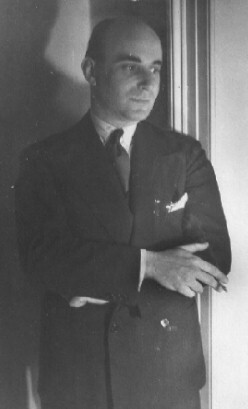 Early in 1924 he left for Europe, where he sought further study in Berlin and later in Paris. Finally, in late 1926 when he arrived in London for study with Matthay, he knew he had found what he was seeking. His playing was marked by exquisite, beautiful tone, lucid clarity, and penetrating, subtle musicianship. 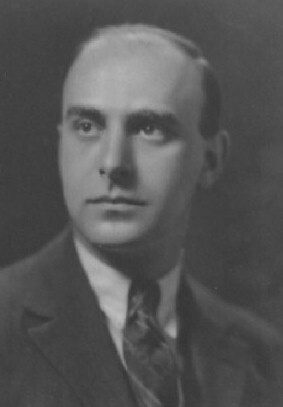 He was frequently identified with the works of contemporary composers such as Leo Sowerby, whom he had known from his Chicago days, Albert Roussel, whose Sonatina he often performed, and Howard Ferguson, with whom he enjoyed a close friendship. European critics received him well. In Amsterdam he was praised for his "Masterly technique and controlled interpretation," for a performance that "approached perfection," while a London critic called him "A pianist to be reckoned with . . . for whom every phrase is a vital incident." 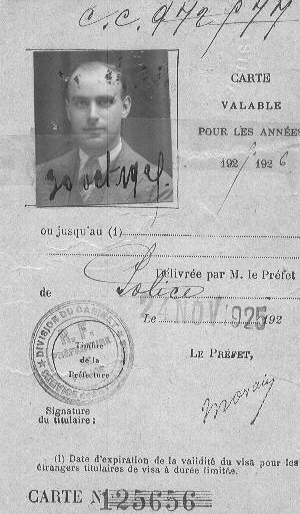 He lived in London for over a decade and played frequently in Europe, until the second War forced him to return home. 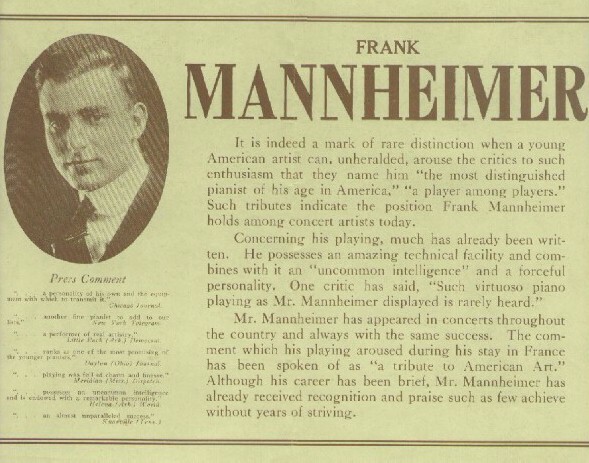 Frank Mannheimer's earliest known concert brochure printed sometime before 1920. The photo was taken in 1917. Click on the text image above to read the reviews. 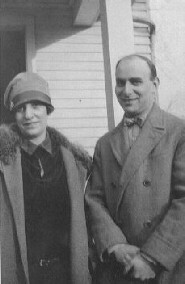 In the early 1920s, Frank Mannheimer was close to many Dayton artists, some of whom achieved fame far beyond the American Midwest. 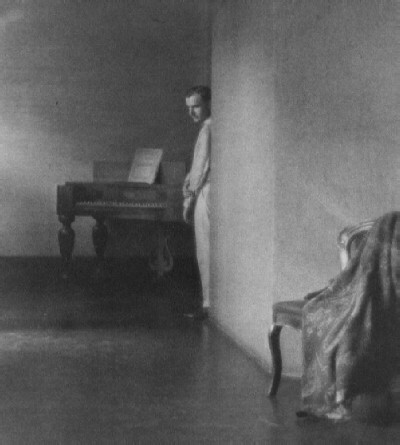 He enjoyed an intimate friendship with internationally famous photographer Jane Reece (1868-1961), who took this picture at her Dayton studio in 1921, which she called Interior with Frank Mannheimer. As he later explained, "She was commissioned to photograph an early piano, which she invited me to see. Suddenly she exclaimed, 'I have to have a musician in the picture!' She tore my tie off and said, 'You stand there!'" A concert brochure printed in the early 1920s. The photo was taken in Chicago. 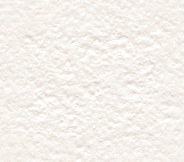 Click on the text images above to read the copy. 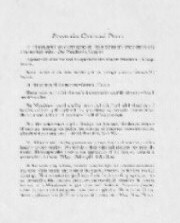 the French government on November 24, 1925. The photo was taken on October 20.
in the spring of 1925. 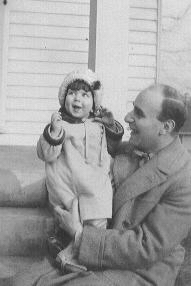 At center he is shown about 1927 with Carolyn and at right with her mother, Sara. 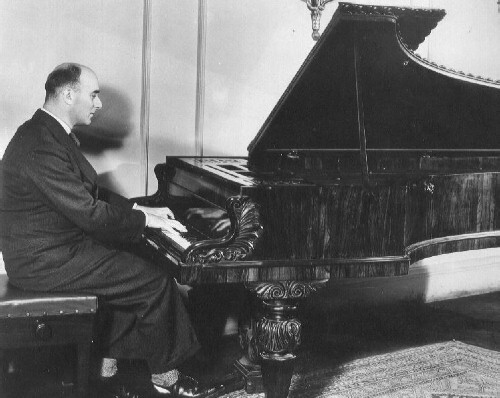 This photo, taken in the BBC London Studios in October 1936, was distributed by Mr. Mannheimer's American manager with the following caption: "Frank Mannheimer at Chopin's own Broadwood Piano. Mr. Mannheimer played a performance of Chopin's early Sonata, Opus 4, for the British Broadcasting Corporation, on this lovely old instrument which was especially loaned by Broadwoods for the occasion. This took place on Sunday aft., October 25th, and was re-broadcast to America." 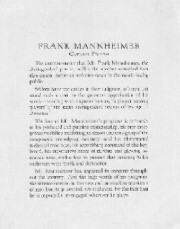 As war approached in Europe, Mr. Mannheimer made a conscious decision to re-focus his professional activities in the United States. He was offered a contract with Columbia Artists but the deal fell through when their representatives denounced Schumann's Kreisleriana as "too intellectual" and demanded he remove it from his programs. He signed with his long-time friend Miriam Rosenthal, the manager of the Dayton Philharmonic, who arranged bookings through Annie Friedberg, Myra Hess's American manager. He opened the Dayton Philharmonic series on October 24, 1938, with the Mozart c minor Concerto. This brochure was printed about 1940. 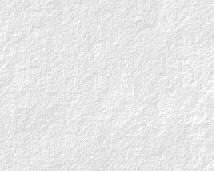 Click on the text images above to read the copy.